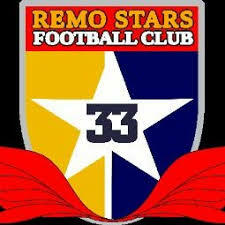 Remo Stars and Sunshine Stars will clashed in the Southwest derby in the Match day 6 of Nigeria Professional football league in Akure. The Sky Blue Stars suffered a shocking last minute loss to Rivers United FC in Port Harcourt in midweek of rescheduled match day one of the Nigeria Professional Football League (NPFL). The 1-0 loss at the Yakubu Gowon Stadium was the first defeat for the Sky Blue Stars since the commencement of the 2018/19 NPFL season. Remo Stars fought hard from the sound of the whistle until the last minute before Wasiu Jimoh tapped in from close range to deny the Sky Blue Stars a point on the road. Sunshine Stars are currently unbeaten in the NPFL ahead of the Southwest Derby scheduled for Sunday, they went on to defeat Wikki Tourist 1-0 in Matchday 5 of the Nigeria Professional Football League (NPFL) at the Pantami Stadium in Gombe. The Sky Blue Stars are yet to defeat Sunshine Stars FC in their last three meetings, they lost 1-0 to the Akure Landlords at the Akure Township Stadium and Gateway International Stadium, Sagamu in 2017. The Akure Landlords are level on point with the Sky Blue Stars with a game less and a win for either side would push them up above mid table.